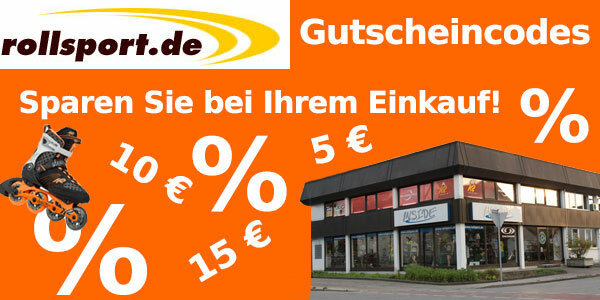 Save your money for the future and use some coupon codes for shopping at Rollsport.de. Following you can find for every month the upcoming promotions. finished / expired 10 € discount for pre-order new Inline Skates 2015 Code word: Rollsport-Vorbestellung. finished / expired 10% discount off your shopping with a minimum order value of 70 € for the weekends. All coupon codes and discounts can not be combined. finished / expired 10 € discount on new K2 inline skates from 2015. The discount will be applied in the shoping cart. finished / expired With the codeword 10-Rollsport-10 you can buy with 10 % discount from 28/05/2015, up to Sunday, 31/05/2015. Offer are for the new K2 Skates 2015.
finished / expired We have updated the 10% discount promotion. For this we have further 10% discount on K2 inline skates from 2015.
finished / expired This month we have on all products with a minimum order value of 80 €, a discount of 10 €. finished / expired In any K2 Inliner 2016, we give, up to and including monday, 31/01/2016, a discount of 10%. finished / expired For the month february we don't have coupons. The new models are con discount so that you don't need any coupon. good inline skates. Very fast. Very good fit. 4 days shipping time. Customer service quite well! can I put in this ILQ 9 bearings in to my K2 Mach 100 Skates? just found at least my product!. First inline store which has the Roces spacers! Fantastic guys!